The care and maintenance of natural stone is very important in order to ensure that the integrity and beauty of your stone is preserved for a long time. Using a neutral pH cleaner or stone soap to clean the stone surface is highly recommended. What is pH? pH is used to express the acidity or alkalinity for a chemical liquid. pH only applies to water-based chemicals. pH scale ranges from 1-14 where (1-6) = Acid, (7) = Neutral, (8-14) = Alkaline. pH of 1 means the solutions is a strong acid. pH of 14 means the solution is a strong alkaline. Common Acids: Muriatic Acid, polishing compounds; vinegar, grout cleaners, batteries, bathroom cleaners, rust removers, alcoholic and carbonated beverages, and fruit juices. Alkaline: Alkaline chemicals are found in heavy-duty stone cleaners, floor strippers, ammonia and lye. When using alkaline products be sure to thoroughly rinse the surface to remove all the alkaline solution. Rinsing is crucial since alkaline solutions can leave a residue on the surface of the stone. Maintenance: To provide good results, a maintenance program should be implemented when the stone is in “like new” condition. But, there’s no time like the present time to get on a good maintenance program. Dust Mop: Dust mop with a non-treated dust mop daily to remove sand, dirt and miscellaneous grit. 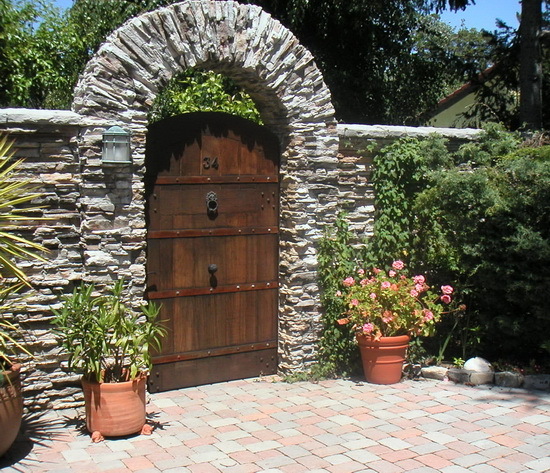 Sand, dirt and grit do the most damage to nature stone surfaces due to their abrasiveness. Mats or area rugs inside and outside an entrance will help minimize the sand, dirt and grit that will scratch the stone surface. Normally, it takes a person 7 to 8 steps on a floor surface to remove sand and dirt from the bottom of their shoes. Dust mop only in one direction. Do not move it back and forth. Store mop with head off the ground and keep the mop clean. Do not dust mop on a wet floor. This may cause streaking. Designate one dust mop for each type of surface. Treated dust mops are not recommended for nature stone because the oils in the treated material may soak into the stone and discolor it. Do not used vacuum cleaners with metal wheels. The wheels may scratch the stone. Damp mop: Sponge type mops are excellent for picking up a spill quickly. It is very important to rinse frequently. The sewn end string mops are best to use because they can be laundered easily in the washing machine. Use clean cold to warm water. Never use hot water as it might cause streaking. Again, it is very important to rinse frequently. Rinsing frequently can prevent streaking, sticky floors and the shine will last longer. Dry the tile with a clean terry cloth towel or machine buff with a white pad. Cleaning rags: White terry cloth, old t-shirts, cotton rags are all excellent for picking up spills and removing streaking. Do not use colored rags. The colors could bleed into the stone and stain it. Regularly use a neutral pH cleaner or stone soap to clean the stone surface to remove residues from cooking oils and everyday food spills. A mild liquid dishwashing detergent and warm water may also be used. Many common foods and drinks contain acids that may etch the stone and dull the surface of the stone. Common toiletries such as perfume, toothpaste and mouthwash contain acids and may damage the stone surface and penetrate the sealer. Use a clean soft cloth for best results. Too much cleaner or soap may leave a film and cause streaks. Do not use products that contain lemon, vinegar or other acidic products on marble or other calcareous stones. Rinse with clean warm water and dry with a soft cloth. Change the rinse water often. This is very important. Do not use scouring powders or creams. These products may scratch the stone. In the bathroom soap scum and hard water deposits are the culprits. Using a squeegee after each use can minimize soap scum and hard water deposit build up. To remove soap scum, use a non-acidic soap scum remover. Spills are going to happen so a quick response and the right solutions can keep spills from damaging your stone or the sealer. Whether the stone is sealed or unsealed highly acidic substances such as orange juice, tomato juice, vinegar, mustard, carbonated soft drinks, alcoholic drinks and coffee will etch most marble, limestone and travertine. 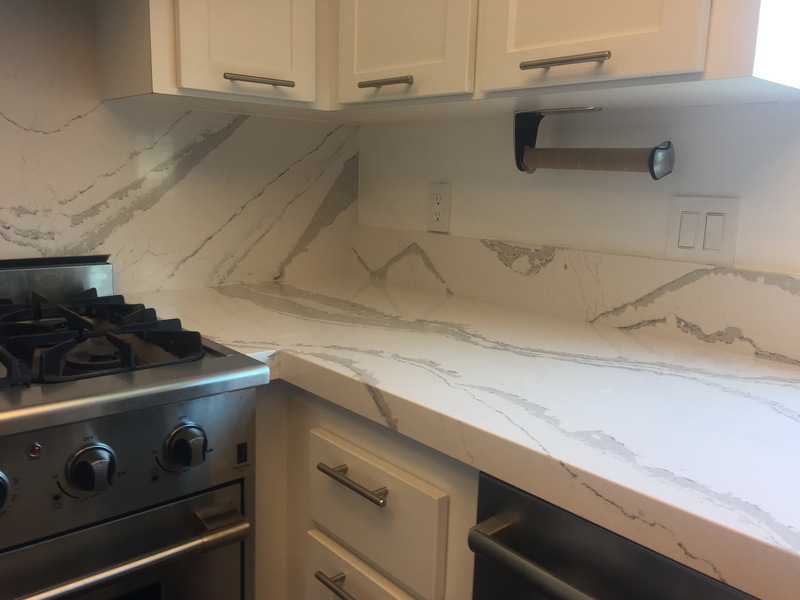 Although sealing the stone allows you enough time to wipe up a spill, it cannot prevent the chemical reaction that may dull or etch the stone area. Do dust mop floors regularly. Do dust countertops, islands and vanities regularly. Do protect floor surfaces with non-slip mats or area rugs and counter top surfaces with coasters, trivets or placemats. Do enjoy the beauty of your stone. 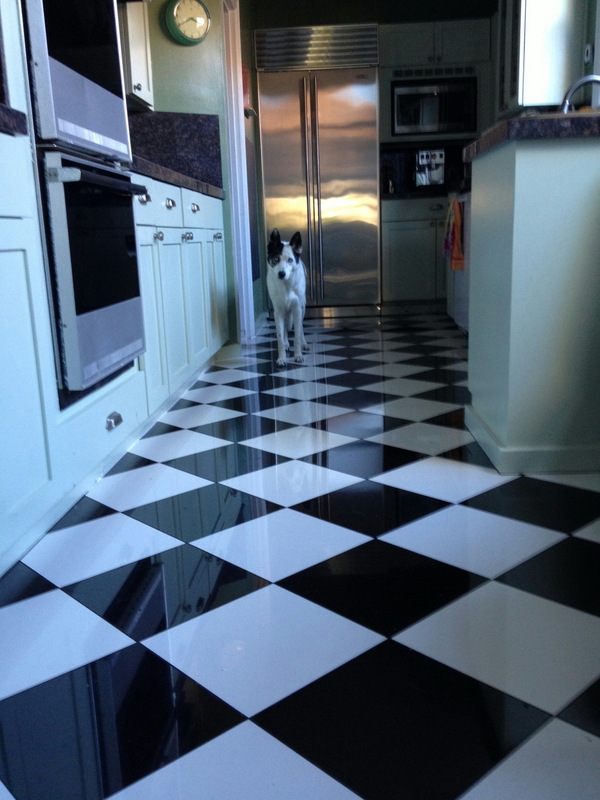 Don’t use vinegar, lemon juice, or other cleaners containing acids on marble, limestone, travertine, onyx surfaces. Don’t worry. Stains happen and they can be removed.